In those early days, I would juggle her essentials week by week in just my hands and before long I needed to enlist the help of her little hands too. I then invested in a small bag for her needs before tossing that in favour of a much larger and more suitable bag which was capable of carting the enormous quantity of costumes and trinkets all little girl dancers require. Then there were the swimming lessons with which I had a similar bag issues. I used to regularly pack the bathers and towel in a plastic bag which always broke at a crucial moment; right when my exhausted child was plucked from the pool (or exiting the change room). There I'd be with my grizzling, wet and unhappy child by the poolside, while flustered me collected the fallen clothing, towels and shoes, (now sodden from the poolside puddles) and micro-managing several children at the same time...shudder! 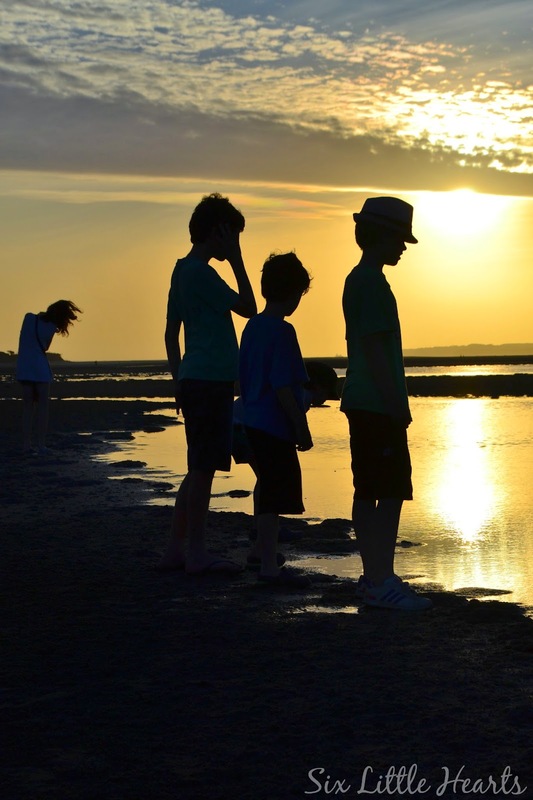 Motherhood is so many of these frustrating situations combined isn't it? We've got to make the difficult tasks of our multiple roles easier on ourselves! Today's Featured Thursdays focuses on Bags 4 Bubs, a business who produce high quality, handcrafted and personalised bags kids of all ages can manage to use themselves and love. I really want to stress the fact that the gorgeous bags from Bags 4 Bubs are child-friendly in more ways than just looks too. These are a range of easy to open and close totes, backpacks and handbags featuring magnetic fasteners (they also make pencil cases), and they really expand to cope with a lot of stuff. The smallest of little people can handle these bags without frustration making them ideal for so many uses. The bags at Bags 4 Bubs are fully customisable for boys and girls, giving you the opportunity to choose the fabrics for both the exterior and interior of the bag. I settled for a pretty pale spotted pink base with a bright green contrasting interior. I figured this combination would last years and remain classic. I know down the track I will be returning to dance and swim schools with this Little Miss and we just couldn't go wrong with this one! It's so roomy and comfortable to wear. All Bags 4 Bubs bags feature fabric inners which are encased within a quality, heavy-duty PVC covering both inside and out. 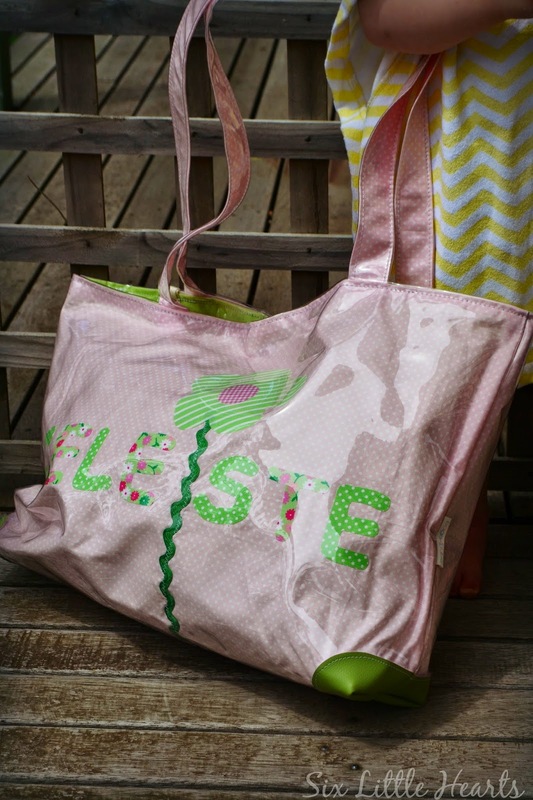 This makes them quite water resistant and therefore great beach or swim bags. The outer corners are reinforced on the base too, so rough treatment in the hands of your kids will not destroy them easily. Inside the quality stitched finishings shine with two large inner pockets sewn from clear PVC. These are fantastic for housing and locating small children's items like hairpins and double as fantastic bottle storage pouches too. Any spills inside a Bags 4 Bubs bag are fully wipeable and fuss-free making it the perfect bag for so many different children's activities and occasions. Water resistance: Cleans easily with just a simple wipe. Fully customisable fabric choices both inside and out. Easy for children to use: Little kids can pack, unpack and carry these bags without frustration and tantrums. Large enough to store everything and easy to find things too. An ideal choice as a distinctive baby bag or hospital bag for new Mums and an especially good choice for very young babies who need loads of accessories in those hectic early months. 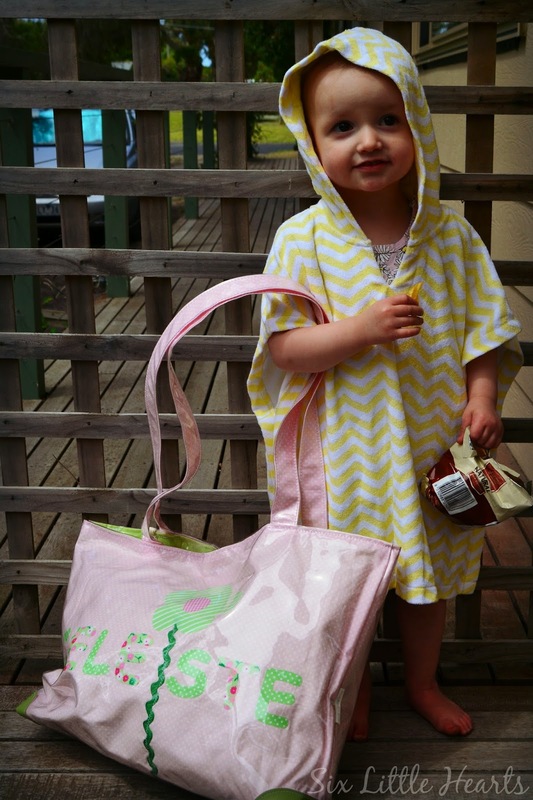 The Bags 4 Bubs range are perfect for kinder children. They are so distinctive and easily recognisable for little ones. With your child's name emblazoned across one of these bags, little day care users, dancers and swimmers will never bring home the wrong bag again! The Bags 4 Bubs website has a beautiful range of bags in several styles and sizes to suit all children's needs. The large tote featured in this review is priced at $80. Bags 4 Bubs would like to give one lucky Six Little Hearts reader the opportunity to win one of their beautiful personalised bags valued at $90! Prize is one large personalised tote, designed by you! Please share the love and give this review and giveaway a shout out on your social media - We really appreciate this so thank you in advance. All options are below this post. Please follow Bags 4 Bubs on Facebook. You must leave a comment below in order for your entry to be valid. Full terms and conditions regarding all promotions and prizes offered by Six Little hearts can be viewed here. Dora has lots of lovely bags so I'd love one for Moo. Having it personalised makes it so much more special and would be ideal to pack for our regular trips to Nanny's house. I reckon I could fit all the essentials plus a few of her favoutite toys in there. 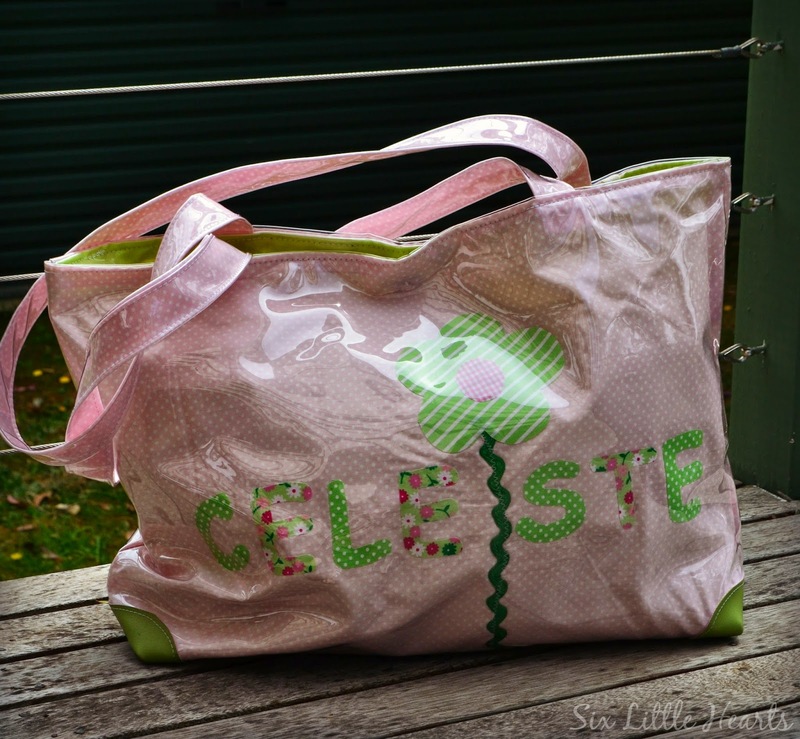 The colours of Celeste's bag are my favourite at the moment ~ pink and miny! LOVE! I would use it to cart the numerous amounts of toys my kids tend to have to take with them everywhere we go, that way things won't get left behind or sprawled throughout the car! OMG YES PLEASE!!!! I have a one year old who has more things to carry around then most babies I know. Cloths (for "accidents"), Nappies (2x more then other kids, I swear I have the nappy changing art down pat.... note to self do a "how to change Nappies under duress" blog), and his medicine. LOVE the bag!! These bags are super dooper cute! Anything easily cleaned with a wipe is a must-have in my family. Thanks for the opportunity! I would take it with me to her daycare and back. At least it's well labeled so no one will take it by mistake and it can hold lots of daycare goodies in it! Hayley is really into copying everything I do at the moment so Im sure she'd love to have a bag of her own so she could feel all grown up like mummy. We'd probably most use it for swimming lessons, mothers group catch ups and when she stays at grandma's. Although I can also see her wanting to carry it around the house each day just because. I'd love to make this the 'big' present for the hamper we make up each year for a family at Christmas, with the word lovely or sweetie on it. The little girl would love it! Oh Celeste! What a little doll! I would love to win this bag for my daughter when she goes to grandmother house. LOVE THIS BAG! We're having our first family holiday in March as a family of 5 my 2 younger kiddies have never been to the beach so where making the big 12 hour trip to the Gold Coast for a week of sun, sand and fun the personalized bag would be perfect for the whole family for a day at the beach. Family Funday Sundays!!! Train travel is cheap so each occasion is to a different location which would make this bag ideal; with it being versatile enough to bring in rain hail or shine! with the ladies of the local playgroup! I'd love to be able to choose colours of a bag, that would be heaven! 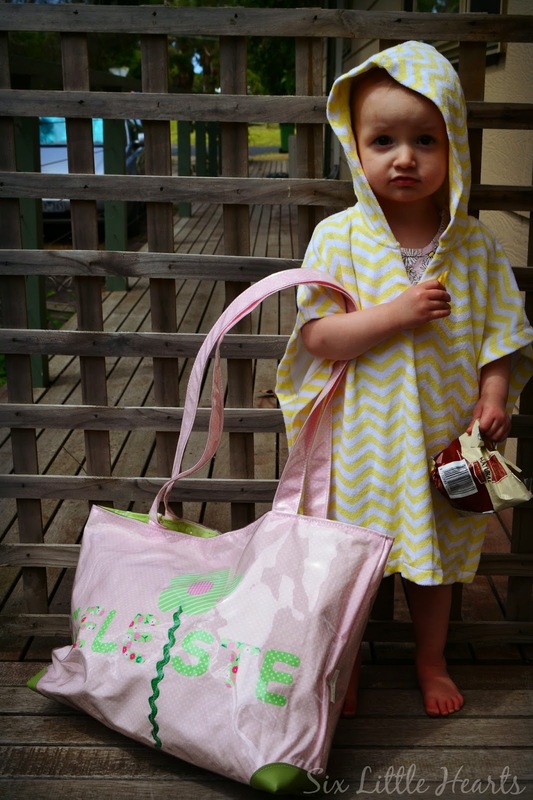 I'd use this bag for beach outings with my 3 year old, it looks just the right size too! I would give it to my youngest daughter to use when she attends swimming lessons for the first time! I'd go on a trip to the City with it. Looks like it has BAGS of room so I could get CARRIED away with what I put in it! Swimming lessons with my granddaughters..perfect when they decide to splash me! she’s the Bags 4 Bubs personalised bag. Tote bags are big and roomy and can hold loads of stuff. You can fit everything that you will need for a day at work or play into a tote bag. We are offering various designed tote bags NZ at very cheap price. Great article. I read your post, nice review. Thanks for sharing. Gorgeous bags!, I'm sure this bags surely have a great quality and this will long last of used. Just take a good care and I have one bought from my husband online at Vanchi and I feel this one old already so I will ask him to buy this one you mentioned above.